5G technology will disrupt a vast array of industries. Expect changes in the way we use technologies such as IoT devices, autonomous cars, virtual reality, augmented reality, and a host of others in our daily lives. Major tech companies are already lining up their new 5G powered gadgets to lay claim to the sizeable shares of a 5G market that’s set to explode in the next few years. This year, we will witness heavyweight brands throw their hats into the 5G ring. Brands like Samsung, Google, Huawei, and HTC are all set to unpack their 5G hardware and software models. The race is on — it has been long anticipated — and it is a race to answer to consumer demand for more speed, better networks, and more user-friendly gadgets that make life a lot easier. The technology will be a great answer, indeed, as it is expected to provide users with incredible bandwidth, surpassing 4G by more than 50 times, among several other advantages. The expected upcoming global adoption of 5G into the mainstream market is projected to become the fastest that has ever been pulled off by any generation of wireless network. By 2025, the 5th generation mobile technology’s services will have been made available to over 40% of the global population, garnering over 2.6 billion subscriptions. Qualcomm, the only company that fabricates 5G chips, spearheaded the domineering presence of 5G at CES 2019. In his address at the event, Christiano Amon, Qualcomm’s president, disclosed that, right now, all vendors using Android platforms are working off 5G. Amon was upbeat about the prospects of mainstream availability of 5G technology before the end of this year. 5G is set to outclass all the previous generations of mobile technology in nearly every respect, from speed to interoperability, support for functionality and lots more. And according to various official statements, 2019 seems to be the year 5G will start getting rolled out, giving us a taste of what the buzz is all about. 5G is the latest generation of wireless communication technology. It will gradually succeed 4G and all other previous generations with the progressive development of 5G network infrastructure and 5G-powered phones. 5G edges the previous network generations with numerous advantages. Currently, it’s speed is over 50 times faster than 4G, depending on the device and location, although lab results show even more greater speed improvements. It also generates much stronger signals. This implies that you can still get decent connection speeds even in super-crowded locations like a sport stadium or a packed event center. The stronger signals and speedier connections can yield a whole world of dividends on their own. From augmented reality feeds to 4k streaming and holographic imaging, the greatly enhanced data speed and signal strength of 5G will supercharge our ability to use interactive technologies. 5G also allows for enhanced power, and promises to power the next-gen cloud computing. With this impressive list of benefits, it’s no surprise major tech players are falling over their heels to unpack their 5G powered phones, even before the mainstream adoption of 5G goes into full swing. Here’s a look at some 5G-ready smartphones expected to launch this 2019. With the official announcement of the upcoming release of a 5G-enabled Samsung Galaxy S10 in the upcoming, March 8, Samsung Unpacked event, Samsung is set to implement its first mover strategy in the race for 5G dominance. The tech giant gave a sneak peak of the 5G-powererd Galaxy S10 model at last December’s Qualcomm Snapdragon Summit in Maui. Hints concerning the release of a 5G powered model by the tech giant were dropped since early 2018, when Samsung and Qualcomm announced a ‘strategic relationship’ agreement with a 5G transition agenda at the center of it. In December, the company announced the development of the Snapdragon 855 processor, which is the first commercial platform to power multi-gigabit 5G. Walter Ji, President of Huawei’s Western European Consumer Business Group, in an exclusive interview with T3 confirmed the upcoming release of a 5G smartphone scheduled between March and October. According to Ji, March will see the release of the P series, while the Mate series will be released this October. He also stated that their releases will depend on “how the chipset develops,” given 5G’s high power consumption. What’s more, Huawei head honcho Richard Yu has also disclosed that the 5G-enabled models will also be foldable. From all indications, Sony isn’t going to sit by and watch the other major players jockey for position in the emerging 5G markets. Early signs are showing that the tech giant has been forced into the 5G race given the announcement of upcoming 5G releases by major rivals OnePlus and Huawei. It now seems clear that at least one of Sony’s new releases this year will come with 5G capabilities. This will likely be the Sony Xperia XZ3. 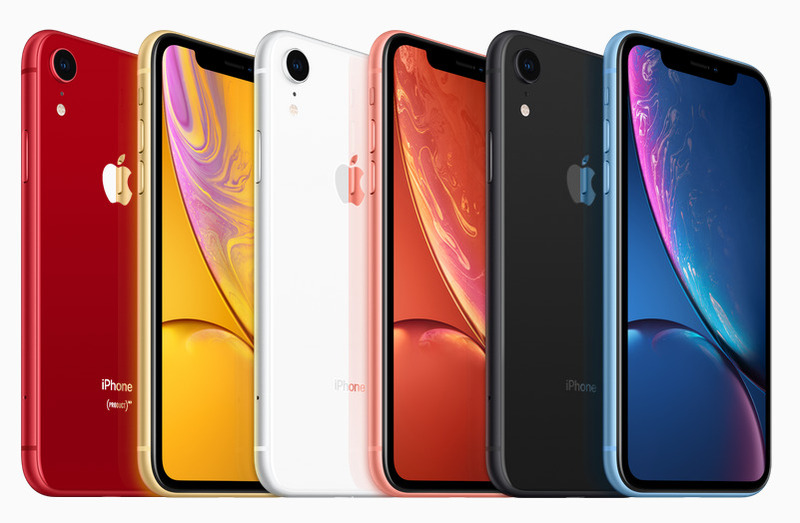 Having successfully released the iPhone XS and the iPhone Max, which have all lived up to their billing, Apple is set to stun its loyal customer base again with another mold-breaking technology stack this year. This time around, the main attraction could be 5G-enabled. However, the current rift between Apple and Qualcomm, the sole producer of 5G chips in the world, seems to indicate that Apple will not be shipping out 5G-powered models this year. It seems the tech giants will have to wait until 2020 to do so, when Intel will be able to serve as an alternative to Qualcomm for the development of 5G modems. Although Apple’s play book has always emphasized holding off from entering the competition until an innovation becomes full-blown, there’s a strong possibility that the tech company will make a move for 5G this year as a result of its plans to roll out a major overhaul of the phone brand. Emerging hints are also pointing to the introduction of 5G-powered smartphones by other industry heavyweights like Lenovo, HTC, ZTE, Nokia, and many others. We’re also seeing interests from gaming phone leaders like Asus, Black Shark and Razer, due to the immense advantages which 5G provides for gaming. Nonetheless, there’s still a long way to go before we’ll finally enjoy 5G coverage like we do with the current generations. For example, Whatphone cites 2020 as the year Australians will finally be able to experience 5G technology. Despite the hype generated about 5G exploits this year, it seems the widespread adoption of the technology will only pick up steam in later years on a global level. However, this year will see the final pieces of the foundation laid in preparation for the worldwide debut of this anticipated technology, and no smartphone manufacturer wants to be left behind.